This black and white photograph shows Dr. Martha Cunningham, one of the first female doctors to practice in Kansas. 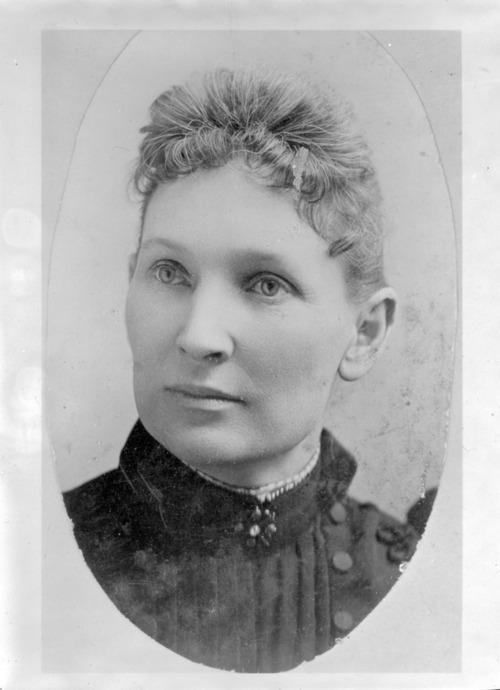 Martha was born on January 1, 1854, in Greencastle, Indiana. She moved to Kansas with her parents, in 1865, to a farm near Birch Swith, four miles southwest of Garnett, Kansas. She taught school for a few years before devoting her life to the medical profession. In 1886, Cunningham graduated from the Women's Division of the Chicago School of Medicine. She practiced for over twenty-five years in the Garnett community.